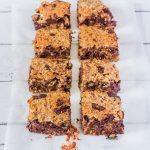 These Vegan Chocolate Peanut Butter Oat Bars are very filling and crunchy. The best part is when you bite on a chocolate chip that melts in your mouth! Vegan, Gluten-Free, Oil-Free, Refined Sugar-Free. If you know me, you know that I am a sweet person and that breakfast is my favorite meal of the day. Therefore, I am always looking for new healthy vegan breakfast ideas that are quick and easy to make and preferably gluten-free. 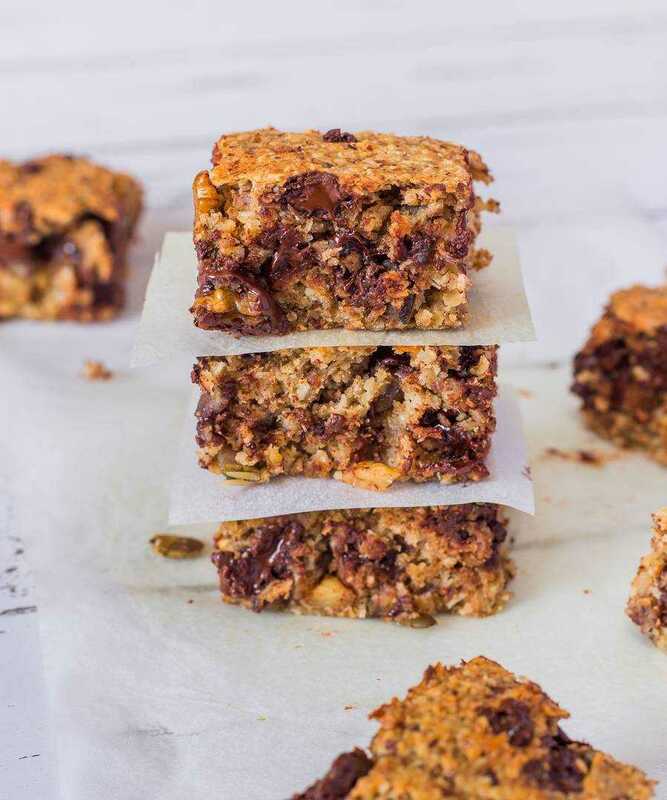 These chocolate peanut butter oat bars are exactly what I was craving the other day – they are SO good, sweet and satisfying it’s hard to believe they are healthy and refined sugar-free. I mean, don’t you just want to eat your screen right now? 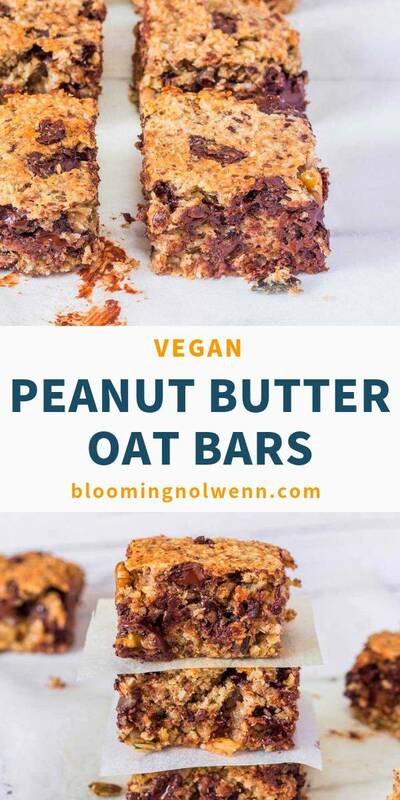 Honestly, I didn’t expect these bars to taste so good considering that they don’t contain any oil, vegan butter, refined sugar or gluten (make sure to use gluten-free oats). Therefore, I was pleasantly surprised when my parents, their mouths full, said “Oh boy! That’s really good!”. 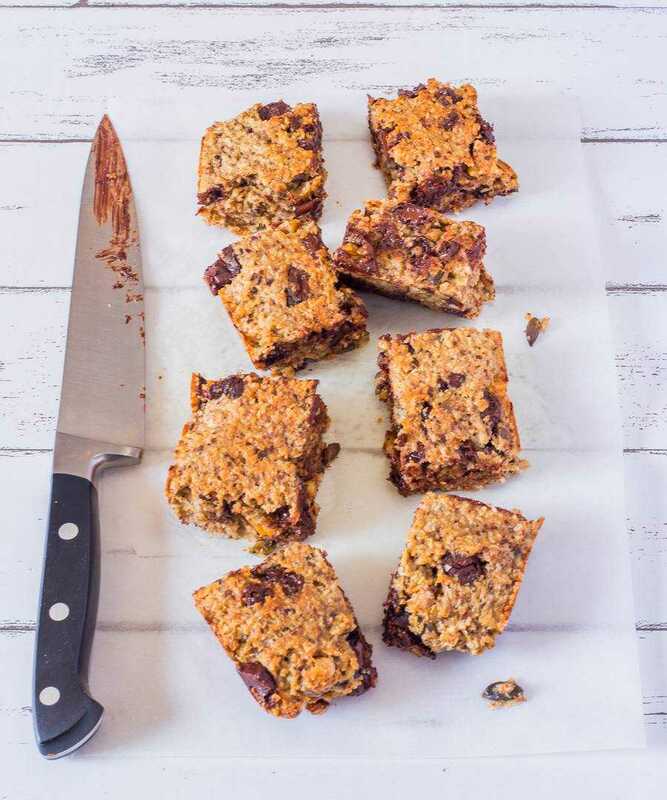 Now, they are very easy to please – especially when there is chocolate involved – but my dad has a big sweet tooth so him loving these refined sugar-free bars is a huge success. 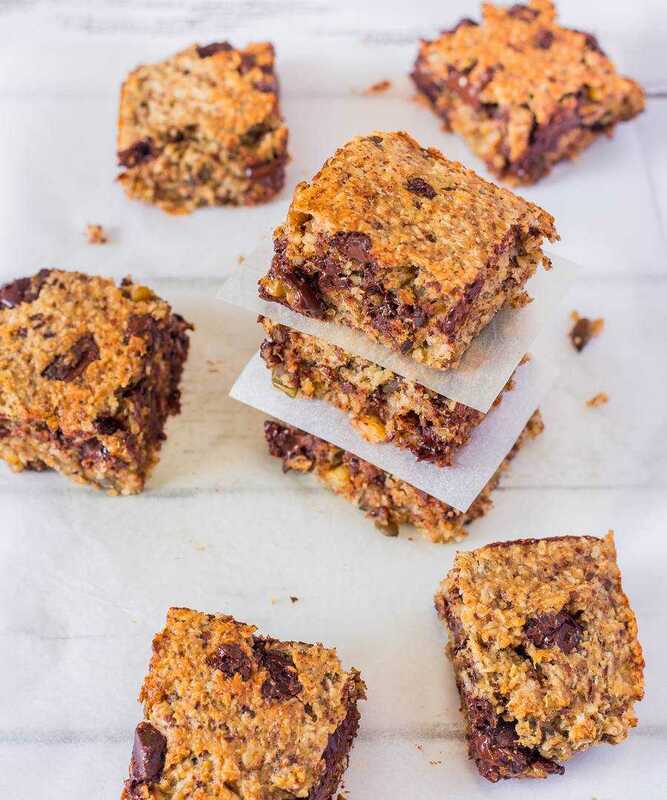 These bars are a great healthy and filling on-the-go breakfast or snack idea – you can roll them up in parchment paper or any kind of wrapping you like and take them with you to school, college or work, just like my dad did. 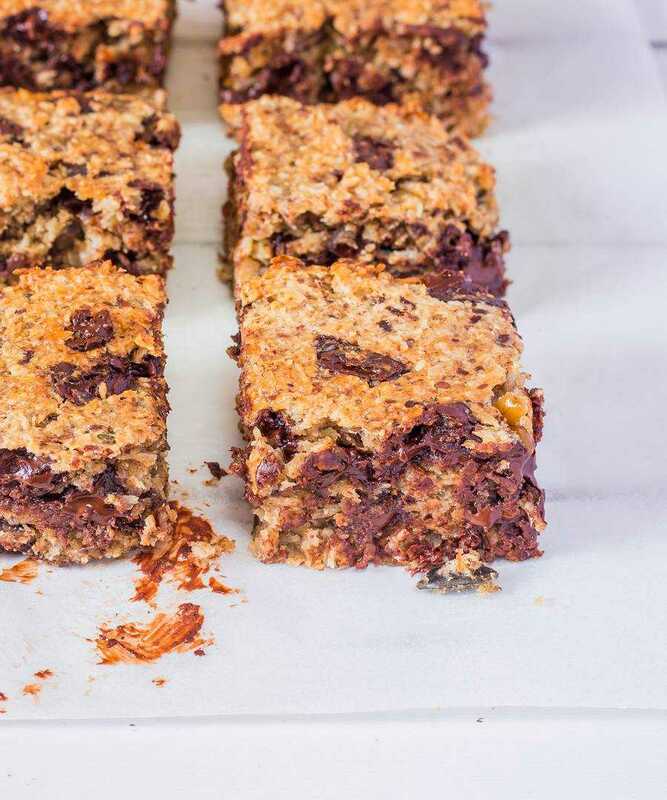 These Chocolate Peanut Butter Oat Bars make a perfect on-the-go healthy snack or breakfast. They are vegan, gluten-free, oil-free, refined sugar-free and super delicious! You will love them. In a mixing bowl, combine the dry ingredients: oats, oat flour, coconut flakes, chocolate chips and pumpkin seeds. In another mixing bowl, combine the wet ingredients: flax eggs, peanut butter, non-dairy milk and mashed banana. Fold the wet ingredients in the dry ingredients. Transfer the mixture to a 10-inch (25 cm) loaf pan or a small square baking pan lined with parchment paper and spread it evenly with a spatula. Bake at 350°F or 180°C for 25 minutes or until golden brown. Allow to cool completely before removing from the pan and cutting into bars or squares. those look awesome!! but i’m not big on using bananas due to the environmental impact – is there something else i could use in place of it?